December is here, which means the holidays are right around the corner! Are you ready to get in the holiday spirit? It’s time to pull the decorations out of the closet, string up the lights, and drink hot cocoa. The holiday season is a busy time for many with family events, holiday parties, and shopping to do. 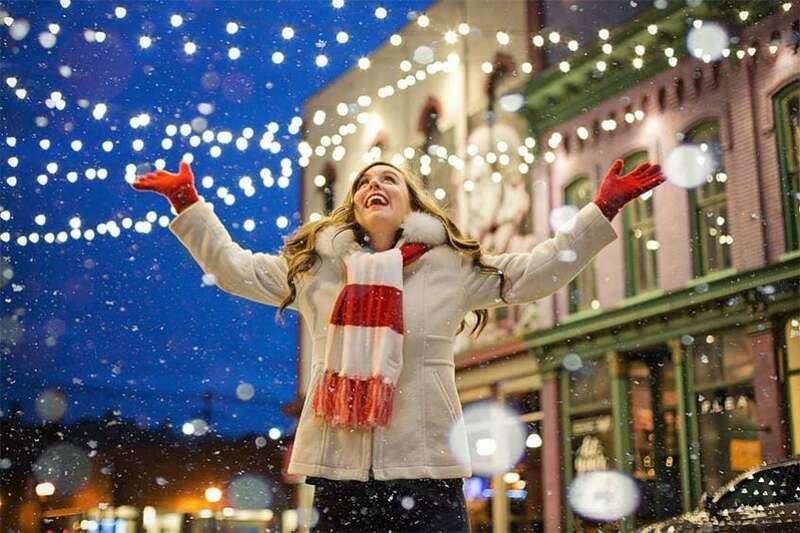 Trying to juggle everything at once may seem daunting, but getting in the holiday spirit can help you get excited about the upcoming season. If you truly want to get in the holiday spirit, then transforming your apartment home into a winter wonderland is one way to do it. No matter which holiday you celebrate, adding a few touches here and there can put you in a festive mood. Stringing up lights, putting ornaments on a Christmas tree, lighting candles, and hanging wreaths are just a few of the ways you can add some holiday cheer to your living space. The holidays are all about giving, and there’s no better way to get in the holiday spirit than spreading kindness. A warm smile, friendly compliment, or nice gesture can change someone’s day. For some, the holidays are a lonely and sad time. Why not volunteer at your local soup kitchen and give back to your community? There are plenty of ways to spread the holiday cheer, but being kind to someone is the biggest gift of all. Perhaps your family and friends already have a bunch of holiday traditions that they do every year, but why not try something new this year? It can be a small tradition such as donating clothes or food, having a Secret Santa exchange at work, or making a special dish for a holiday meal. Traditions are meant to be kept, but new ones are what keep the cycle going. Most radio stations will start to play Christmas music just after Thanksgiving to get people in the holiday spirit. Classic holiday music never gets old! Just turn on some Bing Crosby, Michael Bublé, Pentatonix, or Kenny G, and you’ll be feeling festive in no time. Nothing is better during the holidays than fresh-baked cookies. From gingerbread to chocolate chip, baking cookies is a fun and delicious way to get in the holiday spirit. Holiday-themed cookie cutters are perfect for spreading the festivity. Who doesn’t love a gingerbread man or a snowman-shaped sugar cookie? Don’t be a Grinch this holiday season! Lighten up and get in the holiday spirit by creating new traditions, decorating your home, and giving to others.